There are tons of mini-bosses to fight in Sekiro: Shadows Die Twice, and they all come with their own different sets of challenges. Here’s how to beat O’Rin of the Water in Sekiro. O’Rin of the Water is located in Mibu Village, right before the bridge that takes you to the purple Corrupted Monk. She appears to be just a regular NPC at first glance, but after talking to her (regardless of what dialogue option you choose), she’ll turn hostile immediately. She also turns hostile if you run past her. One thing to note is that she’s the shamisen player that Jinzaemon the samurai was referencing, when you first met him at Ashina Reservoir. If you want to see his quest through to the end, exhaust all his dialogue options and make sure he’s cured of the Dragonrot disease. As you make your way to Mibu Village, you’ll find him again at the Bottomless Hole Sculptor’s Idol, and near the Water Mill Sculptor’s Idol. 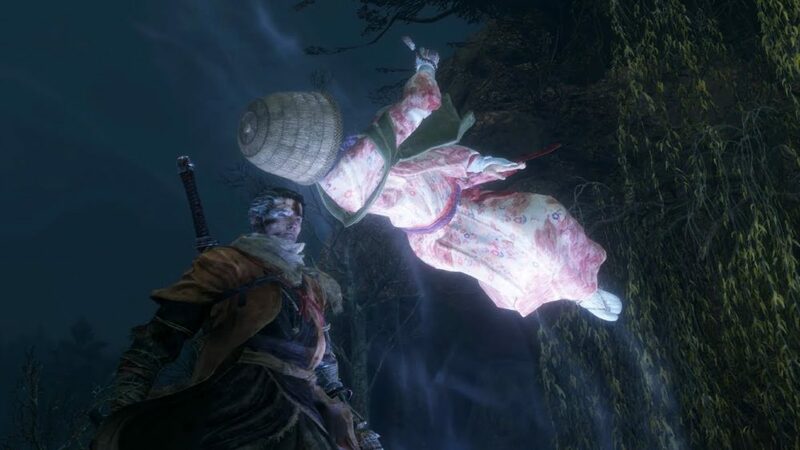 While she is one of the apparition-type enemies you’ll find in Sekiro, you’ll be glad to know that you don’t need Divine Confetti to beat her. In fact, your main strategy for this fight is to simply wait for her to come to you, and deflect all her attacks to build up her Posture meter. O’Rin of the Water has a tendency to circle around you during the fight before rushing straight for you with a flurry of attacks. Don’t bother trying to hit her; it’s much easier to wait for her to attack, then deflect her combo. At the end of the combo, she’ll go for a sweeping Perilous Attack, which you can jump over very easily and respond with the jump-kick counter. This builds up her Posture meter even faster. In general, her Posture bar isn’t all that big, and it’s easy to build up, so you can simply rely on the strategy of deflecting her moves and using the jump-kick counter to beat her. She doesn’t have any phases either, so just rinse and repeat. That’s all you need to know about how to beat O’Rin of the Water in Sekiro. Be sure to check our Sekiro guide wiki for more tips and information on the game.